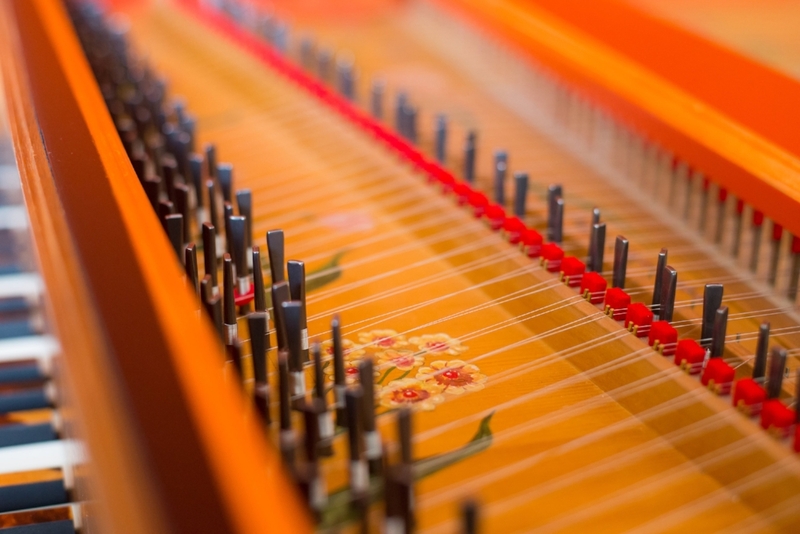 On Wednesday, March 21st, the UBC School of Music will unveil one of the jewels of our instrument collection — a newly renovated double-manual harpsichord modeled on an 18th-century German original— at a special concert with renowned Early Music trio Alexander Weimann (harpsichord), Chloe Meyers (violin), and Natalie Mackie (viola da gamba). The concert will feature works by Bach, Muffat, Buxtehude, and Schmelzer. A generous donation by Marlene Yemchuk, in honour of her son David Yemchuck (B.Sc. 2010), made the renovation possible. “After consulting with a variety of local performers and experts, we decided that the donation’s greatest impact would be to fully renovate the Zell harpsichord, which over the years had fallen into disrepair.” In addition, the generous donation also made possible some improvements to a second harpsichord by Ken Bakeman that is heavily used by students and faculty. “As a musician and devotee of early music, I can say that it an incredible gift to have such an important and beautiful instrument at the School. Thank you to Marlene and Craig,” Weimann says. You can see Weimann and the Zell harpsichord in action at Roy Barnett Recital Hall on Wednesday, March 21st at 12 p.m. Tickets for The Gift of Music will be available at the door for $5 (cash only). Visit the event page for more information about the concert.